You are going to Watch Naruto Shippuden Episode 316 English dubbed online free episodes with HQ / high quality. Stream Anime Naruto Shippuden Episode 316 Online English dub The Reanimated Allied Forces. In an attempt to recover his most powerful pawns, Kabuto reincarnates some of his weakest dead soldiers to ambush the Allied Shinobi Forces. He uses Torune to summon them. The White Zetsu appears in the battlefield, and he realises that those were the Impure World Reincarnation’s failures. After the battle that took place, the Shinobi Alliance notices that those reincarnated shinobi were probably D-rank. Between the reincarnated shinobi, some are Shinobi Alliance troops’ long gone friends and families. Osoi, who was Toroi’s former partner and Musai’s father, makes them aware of Kabuto’s plan to rescue his stronger pawns. Conscious about the plan, the Allied Shinobi Forces informs the HQ that some reincarnated shinobi are after the Third Raikage. Torune is leading the reincarnated fugitive team that took vantage from Heiji’s Swirling Smoke Jutsu to escape the Shinobi Alliance. When they find the sealed Third Raikage, a unknown reincarnated starts running to release the tag, ending up being caught in the Sealing Tag Barrier. Daimaru uses his Earth Style: Sand Dance to get rid of the tags, when they got near the Third Raikage’s sealing tag, Chūkaku throws a rosary to the tag and starts praying, when the sealing tag was about to break, Temari appears and attacks Chūkaku before he can break the sealing tag. That’s when Daimaru shows up in front of Temari, declaring his love for her. 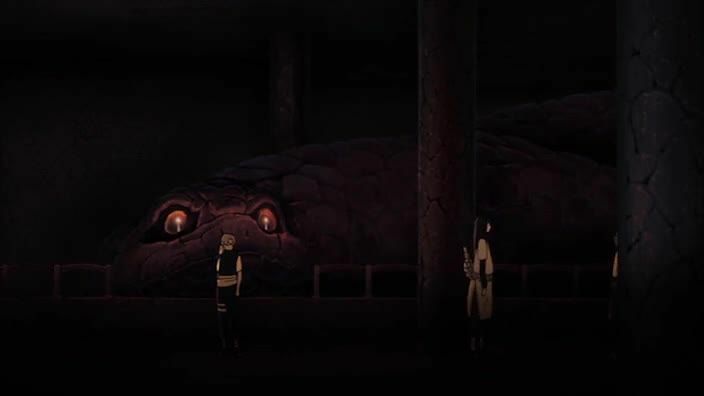 Later on after a long conversation between Temari and Daimaru, the Shinobi Alliance Forces seals Daimaru, Temari attacks the last reincarnated shinobi, Torune, that is hiding behind a rock. With a second and direct attack, Temari realises that Torune is long gone, leaving a clone in front of her. Kabuto gets surprised with Torune’s skills and intends to use him to be successful in his demand.